Spring is here and we are having days that start out rainy and end up really warm. One day you are pulling out the flip flops and the next you are sitting by the fireplace to keep warm. Yah 🙂 for the better weather when we see it, but it means that you need to dress for both extremes. 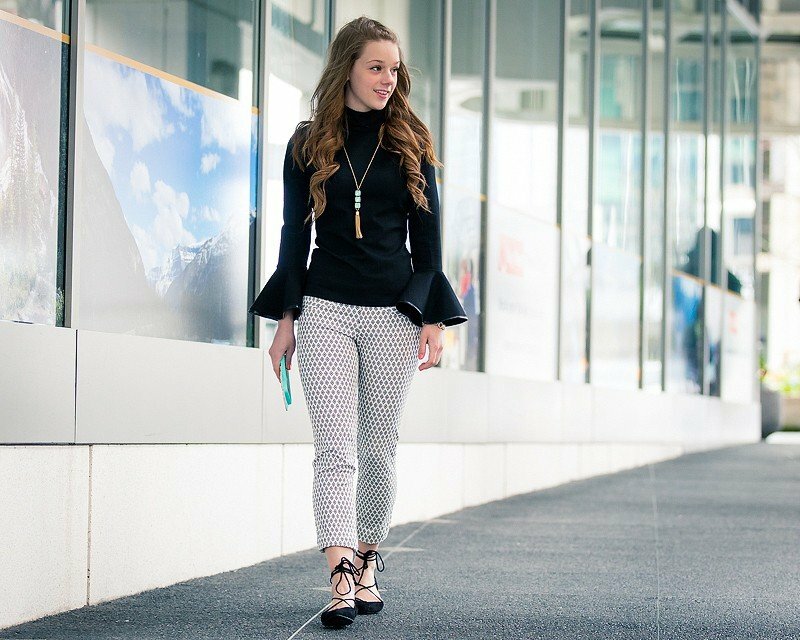 I find that mixing a long sleeve top and crop pants is the perfect solution. 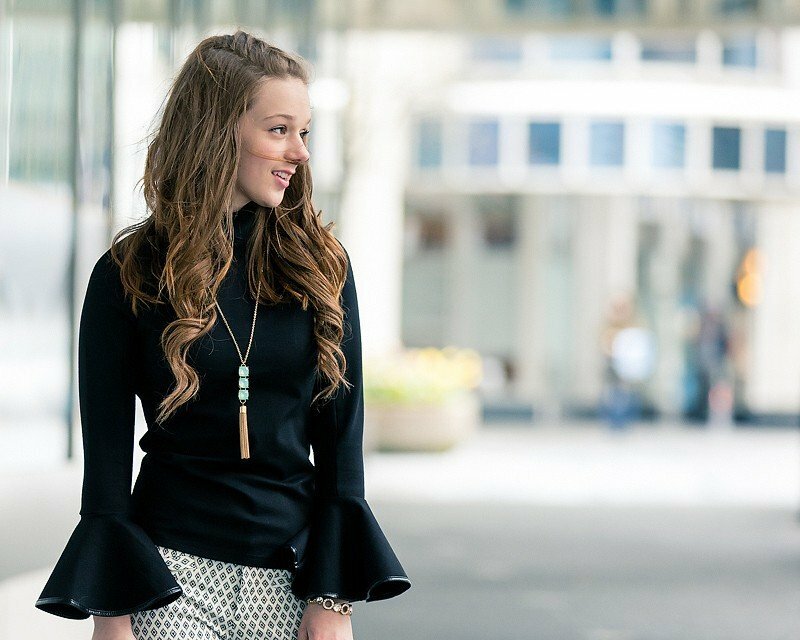 This bell sleeve top has been an all-time favourite this past year. It works with everything! These crop pants are a great stretchy material and the fit is amazing. I am thinking that I need to get another pair in a different print. 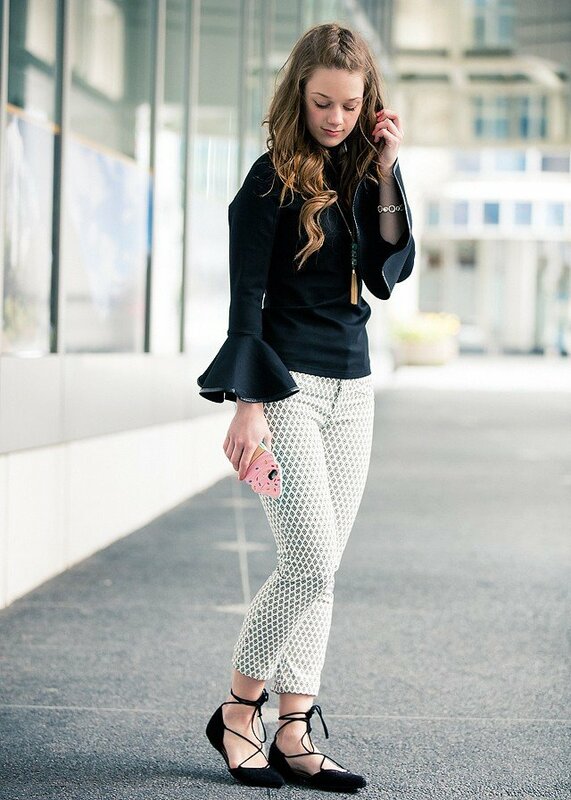 This bell sleeve top looks fabulous with the crop pants. My jewelry is from Olive+Piper. I am SOOO in love with the Kate Spade Flavor of the Month ice cream line. It is just adorable. I need to get more pieces before they are gone. Ice cream is one of my favourite treats. ❤ Who can be angry, sad or upset when they are eating ice cream? Nobody!! Without ice cream there would be darkness and chaos. Life is like an ice cream…enjoy it before it melts. TGIF my friends! I am in study mode just itching to get through my exams and be done with this semester. Have a great weekend!